This is an early edition of Locke's 8 Year Old single malt. The 8 Years Old print appears to have been added as an afterthought before it became an integral part of the label design. 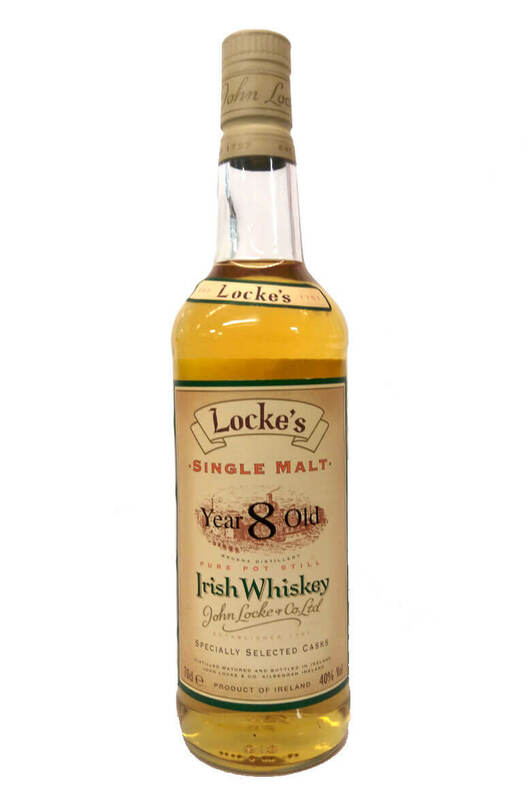 Lockes 8 year old single malt was first released in 2000 and is double distilled in traditional pot ..
A very early edition of Locke's Single Malt, this came before an age statement of 8 years old wa..